Check out our offer and find your favorite women’s beach towel! Choose between newest prints, cuts and patterns! Round or rectangular shape? 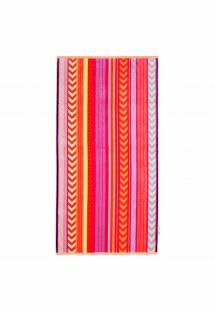 Fouta and pareos styles? The choice is yours! Women’s beach towel is a must for every beach girl and women. They are not only very functional but also very beautiful and they may serve as a great addition to your summer outfit or bikini. They come in countless prints and have many functions. 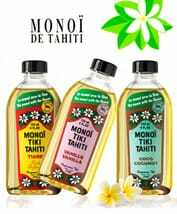 You can use it as a towel, put it on the sand and lie down, wear as a dress, skirt or blouse and much more. The possibilities are countless. All depends on your imagination and creativity. 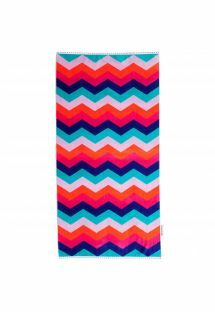 You will find big rectangular beach towels as well as latest top trend – round beach towels. They all give many options. The towels are made of highest quality fabrics – you may be sure you will use them for many seasons. Brands such as Bali Blue, The Beach People, Simone et Georges and many others will provide you with a great choice of top and fashionable models and stylish patterns. What is fouta? It is a big and soft piece of fabrics mainly used as a beach towel but not only! If you want to have a towel, blanket, bedspread and a tablecloth all in one choose one of our unique and trendy pieces! 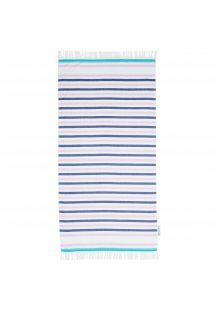 • Beach towel – it is always worth to take fouta to the beach as it can serve as a blanket, towel or a beach mat. It is also nice to cover and warm up, for example, after swimming or when the wind gets cold. • Shawl - In Mediterranean and Arab countries, fouta serves as an element of an outfit. You can also use it as a big shawl. • Bedspread - thrown on a couch or bed will bring unique atmosphere to each interior. • Tablecloth - they are large, delicate and in beautiful designs - you can easily put it on the table! The season best seller on Brazilian Bikini Shop! Get tone of our trendy round beach towels from top beach fashion brands and enjoy sun all day long - no need to reposition the towel! 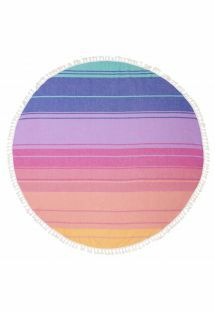 Round beach towel has become a super trendy accessory to take to the beach recently. Why? It is totally different from what we had till now and besides keepingー the main function it delivers much more! With a round beach towel you don’t need to change its’ direction every now and then together with the sun position. Now you can place it on the sand only once and comfortably for all day long. What is more, round beach towel is perfect as a quick cover-up – you can use it as a skirt, dress, blanket – whatever you want. 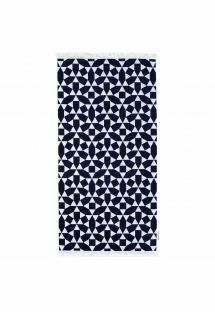 The Beach People, Vagabond Beach, Slippa, Les Antillaises and many other brands offer round beach towels with beautiful fashionable prints. Round beach towel can be used everywhere: on the beach, at the picnic in the park, at the lake or camping. You may even have them at home, as their beautiful designs will make your private space unique and special. Just like you! Check out our offer! Fond memories, freedom, and relaxing by the pool with friends are hallmarks of summer. If you want to celebrate the sunny skies and warm weather in style, you have come to the right place. 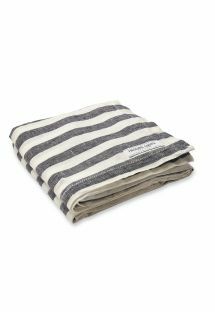 Known for quality and elegance, Vagabond beach towels are ideal for anyone who loves summer. You might be looking for a beach bag to carry your suntan lotion, sunglasses and other supplies, but you will also want the right round beach towel for the occasion. No matter your needs, you will find a design that is sure to grab your attention, highlighting your unique sense of taste. Every round beach towel that we offer is geared toward adding fun and excitement to any summer party or event, and we are confident that you will be thrilled with your decision. 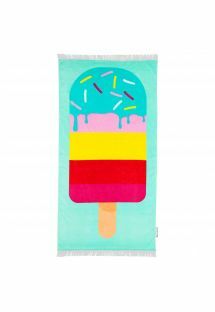 Who has never dreamed of soaking up the sun this summer on a gorgeous round beach towel, the ones seen everywhere on fashion Instagram and all the best blogs? Brazilian Bikini Shop is delighted to offer you an opportunity to discover Antillaises (French for West Indians - in the feminine form of course). This superb brand is the fruit of the imagination of a couple passionate about design, travel and the West Indies where they finally decided to settle down. Each round beach towel is the perfect combination of aesthetics with a convivial shape, as attractive as it is practical and ideal to bring everyone together. 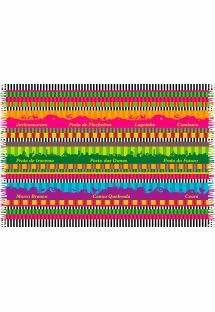 The fabulous tropical or ethnic prints make each beach towel a fashion accessory to be proudly displayed on the sand with your friends, to use as an on-trend picnic rug or simply to decorate your home once the holidays are over. 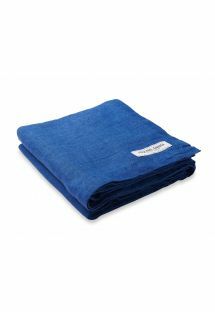 Designed using 100% high quality cotton, each towel has one side in an absorbent "terry loop" and the other with a delightfully soft to the touch velvet finish! Light, easy and multifunction beach solution for every man! Men’s beach towel! It’s very light and doesn’t take much space comparing to standard towels. Blanket, towel, cover-up – all in one! Men’s beach towel is a perfect beach solution for every guy. Why? Because it is very easy and light to carry, doesn’t take much space and has many functions. You can use it as a blanket on the beach, put it down on the sand and comfortably lie down. It can also serve as its name indicates: as a towel. You can as well use it as a cover-up in order to warm up or to protect from the sun. Brands such as Rio de Sol, Bali Blue, The Beach People, Simone et Georges and many others offer trendy designs and prints. 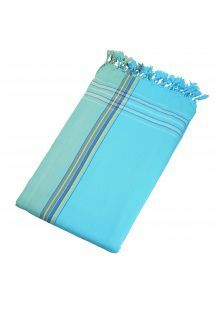 On Brazilian Bikini Shop you will find men’s beach towels in rectangular and round shape. 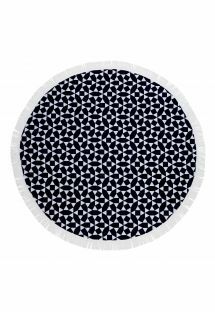 Round beach towels have become very popular recently. 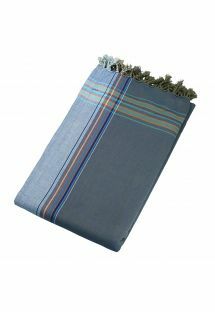 The towel collection often come in universal, unisex patterns perfect for men, women and children. Check out our offer and choose a beach towel for you! Do your children love beach and you want to make them feel good and comfortable? Buy of our beach towels for kids! Choose among one of our soft and high quality pieces. Kids beach towel is a summer essential especially if you are planning holidays by the sea. 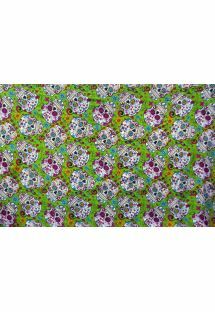 The kids beach towels we have in our collection are beautifully designed and come in colorful prints. The fabrics they are made of is made of natural fibers, so that they are of a very high quality, do not irritate the skin and are very soft. Your kids will love it and you will not have to bring anymore huge blankets or towels to the beach. The kids beach towel is multifunction: they can serve as a blanket, as a cover, as a part of outfit. Some of the have additional hood, so that you can dry your kids’ hair after they leave the water or to protect them from strong sun. 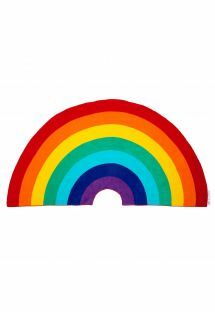 Beach towels for kids come in rectangular, square and round shapes. No matter what you choose you can be sure that the purchase will serve you several seasons and will meet your expectations! Choose your beach towel from our super trendy collection to go to the swimming pool or to the beach and to attract lots of attention! Thanks to their graphic prints and original design, they will not only look great but also bring some good vibes or elegance if needed. They will be great for both: sunbathing and lying down on the sand as well as for getting dry after a pool or sea swim. You will see they absorb water very well and they are very soft and comfortable. Each model that you will find in our collection is beautifully designed and in a good taste. 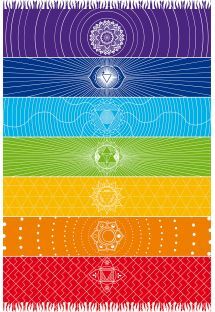 They come in different shapes: rectangular, round of with a mandala cut. Your beach towel shall match your personality, style and your preferences. It may have many functions – help you dry after a swim and in a second serve as a beach skirt or dress that you can wear while going for a walk by the sea or to a beach bar. Each beach towel size XXL that you will find in our offer can be used in plenty of ways! Put it on your deckchair and benefit from its softness or just spread on the sand or grass and enjoy your lazy moments! A double fouta will be perfect for sharing romantic moments with your companion: simply sit on it to contemplate the sunset and fully enjoy these special moments for two. Finally, the fringed pareo is a fashion accessory aside, because it will give you a very hype silhouette whether at the beach, at the pool or during your camping evenings. 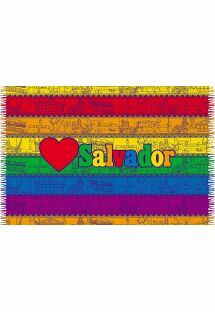 Let yourself be tempted by a beach towel flag to travel differently and discover the countries that you dream of. 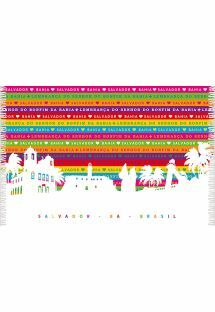 A giant beach towel representing a picturesque landscape will also allow you to reach new shores. 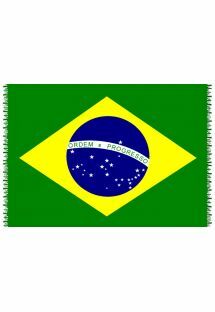 It will take you to Brazil, India, the USA and other exotic countries.